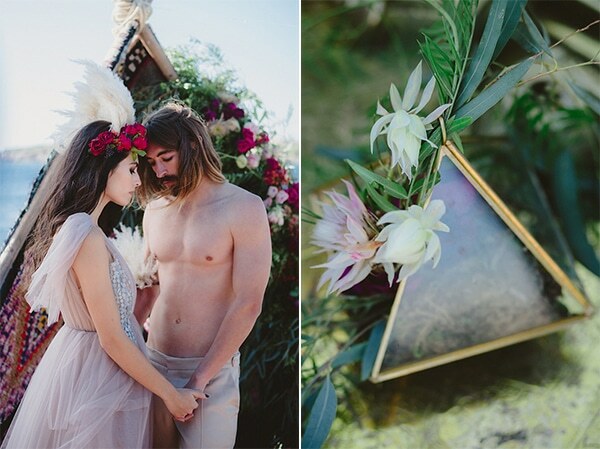 Today, we’re sharing with you a boho, Indian styled shoot by the beach, so if you’re a free spirit and a boho-lover you’re going to love this as much as we do! 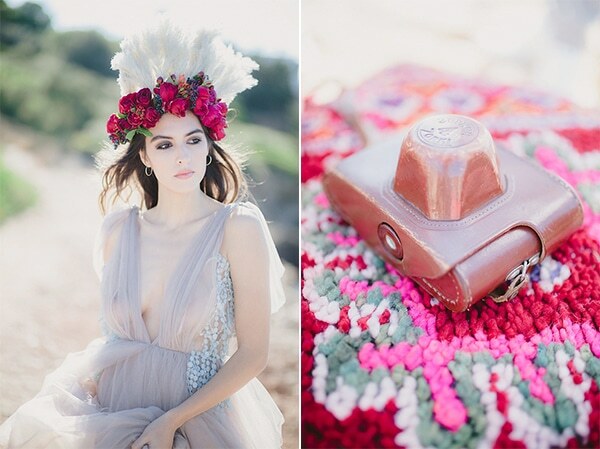 The whole scene was overflowed with colors, fabrics and patterns that added vividness to the calm landscape. 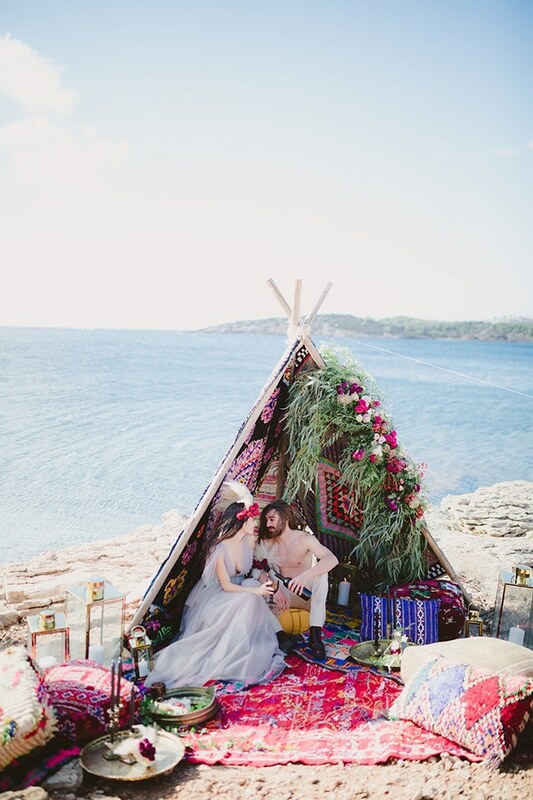 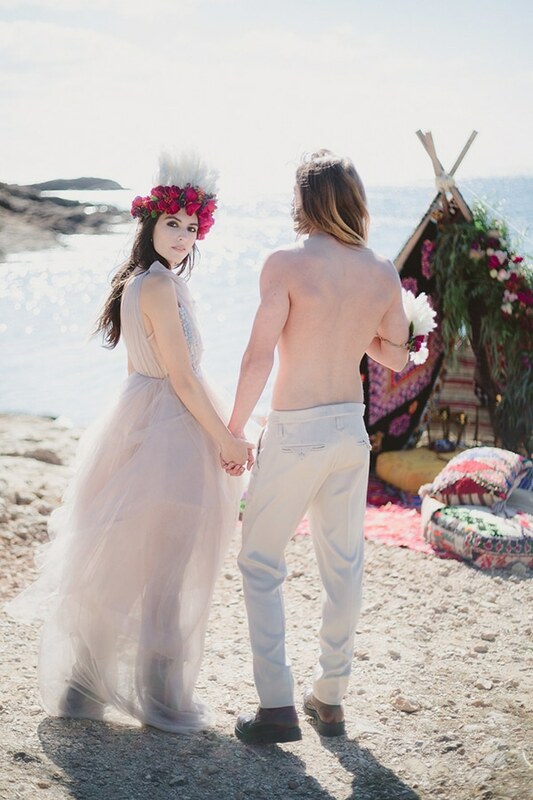 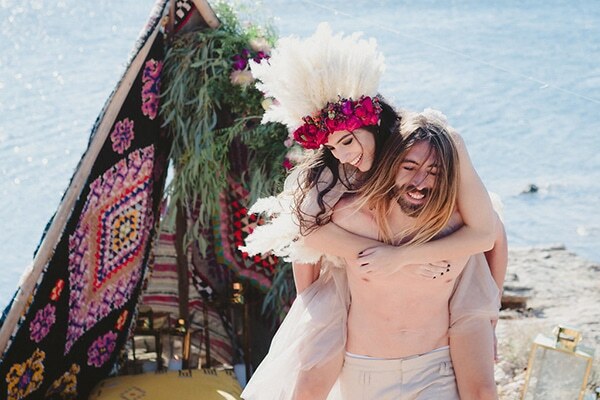 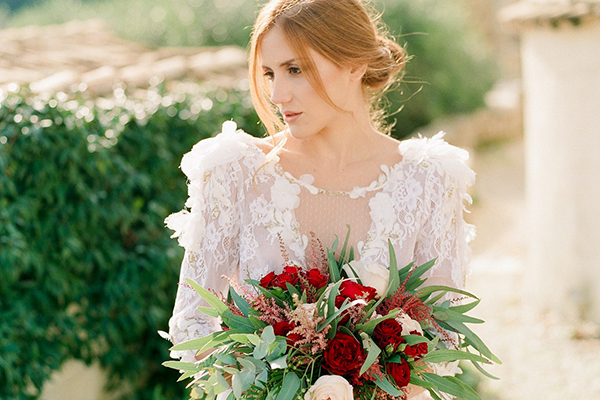 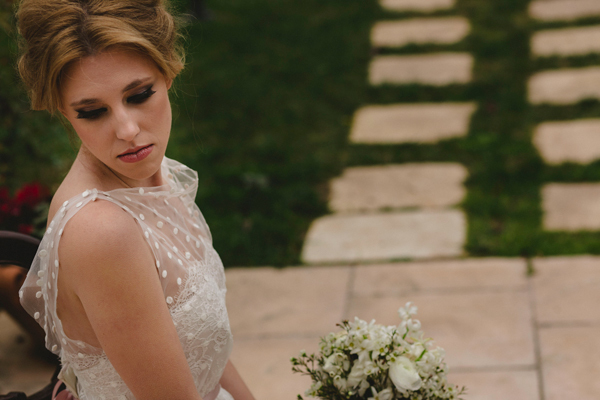 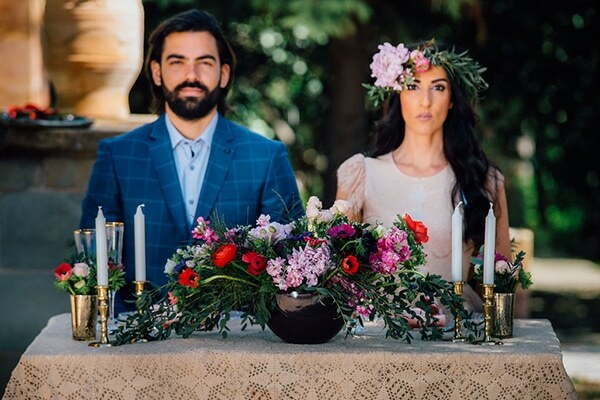 The style of our two protagonists was ideal for such a cool photoshoot… Two bohemian Indians in airy clothes and an impressive headpiece made of fresh flowers and feathers. 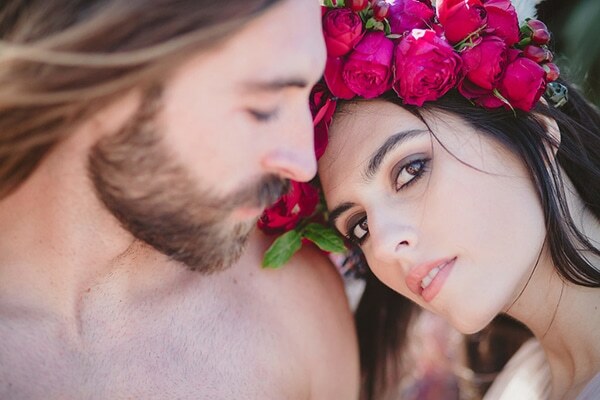 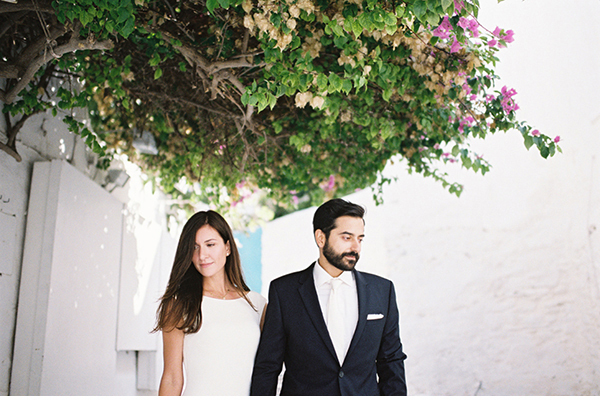 Check out the following photos captured by Chris Kosmas and feel completely transported to the dreamy scene! 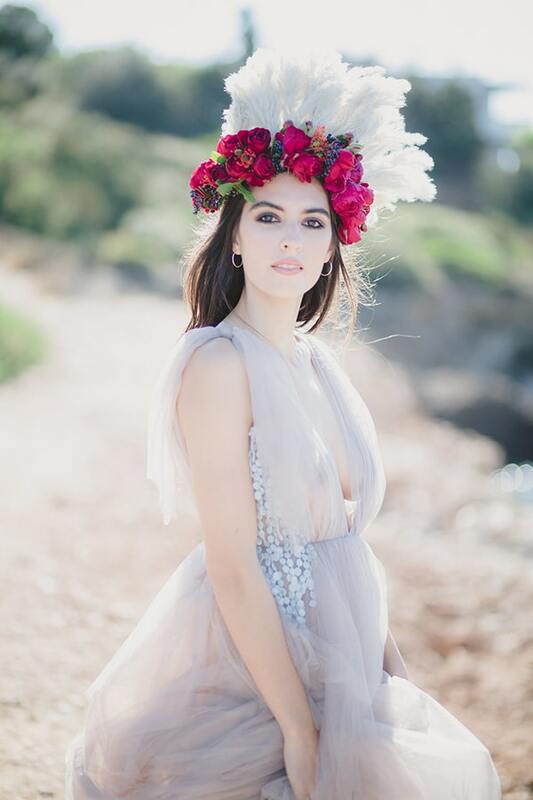 So unique and gorgeous!